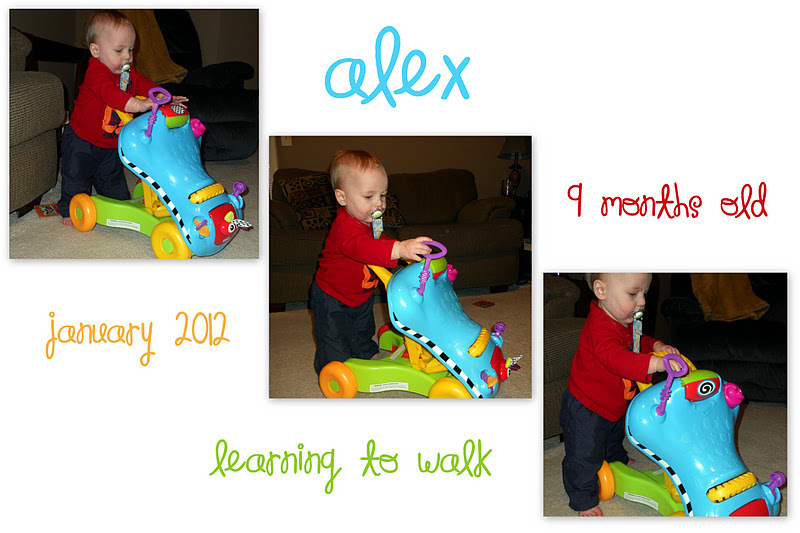 Alex entered the "I'm-going-to-learn-how-to-walk" stage about a month ago. He cruises those sofas as if he were on some sort of mission! We broke out the walker toy we bought for Andrew when he started at about 8-9 months, too. And I found that video of him!! He's a bit younger in his video than Alex is now. Andrew was almost 9 months old and Alex just turned 9 months old. Enjoy the pictures and movie :) I wil get one of Alex soon!